STORY’s John Komnenich recently directed Allstate chairman and CEO Tom Wilson and actor Dean Winters in a 30-second TV spot produced for Leo Burnett. Viewers would never know it, but the commercial is actually a cleverly-constructed composite. Komnenich shot Wilson in Chicago, Winters in New York City and the stadium—the Superdome—in New Orleans. Komnenich has worked on Allstate advertising for a long time and has directed a number of previous ads featuring Tom Wilson and Mayhem. STORY is a full-service production and post-production company with locations in Chicago, New York and Los Angeles. 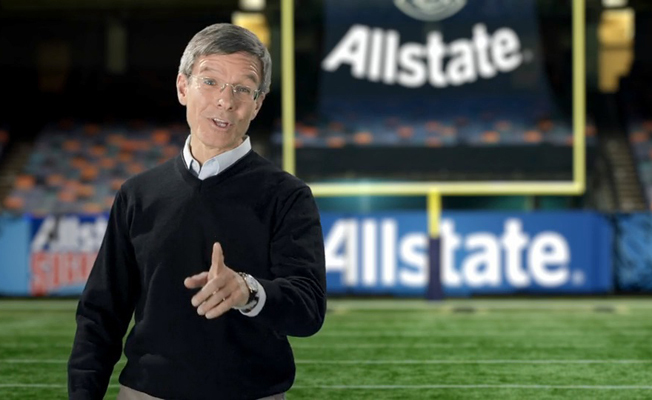 Commercial pairs Allstate Chairman Tom Wilson with the brand’s familiar Mayhem character. 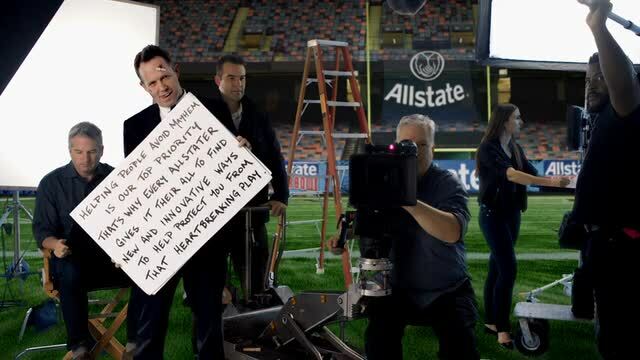 STORY’s John Komnenich recently directed Allstate chairman and CEO Tom Wilson and actor Dean Winters in a 30-second TV spot produced for Leo Burnett. 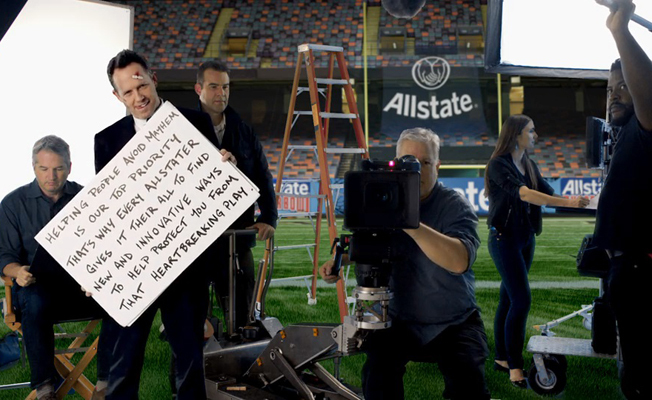 In the ad, Wilson has trouble reading his lines due to a prankster holding his cue cards. He contorts his body to make out the words on the moving card. 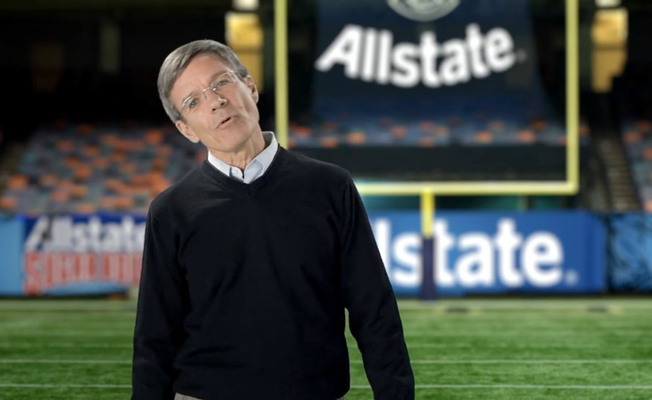 A cut to the camera crew reveals the culprit: Allstate’s malicious troublemaker Mayhem. John Komnenich, Director; Mark Androw and Cliff Grant, Executive Producers; Mary Langenfeld, Head of Production.